It is difficult to determine the exact date of the foundation of Ankara, but it is assumed that in the Hittite period (1800 -1180 BC) the city has existed under the name "Ankuvash". The Phrygians, who replaced the Hittites (in 7th century BC) renamed the city "Ancyra". Having come from Thrace, the Phrygians occupied Anatolia from the Sea of Marmara to the Kızılırmak River. It is considered that Afyon, Ankara, Eskisehir and ancient Gordion have been the cities of the Phrygians. The ancient capital of Phrygia, Gordion, is 90 km away, west of Ankara, near the modern village Yassyhyuyuk (Yassıhöyük). Gordion received its name in honor of the Phrygian King Gordy, the founder of the city. The most famous story associated with the city of Gordion is the story of the Gordian knot. It is said that when Phrygia were left without the ruler, the citizens asked the oracle for advice in order to elect the new ruler. He foretold that they need to elect someone, travelling in a cart, they first met on the road to the temple. This man turned out to be the simple farmer Gordy. When he became the king of Phrygia, he founded the capital Gordion and installed his cart, which had helped him came to power, entangled its yoke in toughest knot of cornel bark. According to the legend, the person, who could unravel this “Gordian knot”, would be the master of Asia. Later, in 333 BC, the greatest general of antiquity, Alexander the Great, visited Gordion. He was intrigued by the complicated knot. Without further ado, he cut the Gordian knot with a sword. It is assumed, that the Turkish knot is the famous Gordian knot. In 25 BC Ancyra (Ankara), located at the intersection of caravan routes, became the administrative center of the Roman province of Galatia. Later it was occupied with the Byzantines, conquered by the Arabs, the Crusaders and the Seljuks. 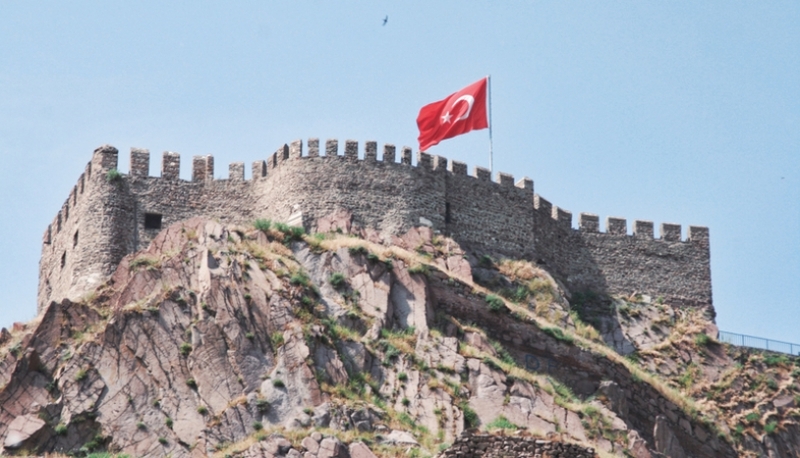 In the mid 14th century Ankara was conquered by the Ottoman Turks. The First World War (1914) in fact put an end to the Ottoman Empire. Turkey entered the First World War on the side of Germany, and after the defeat Turkey was occupied by the Entente troops. During these years (1918 - 1923), Ankara became the center of the national liberation movement. After the founding of the Turkish Republic in 1923, Kemal Ataturk moved the capital from Istanbul to Ankara. At that time, Ankara was a small town, with a population of only 60,000 people. 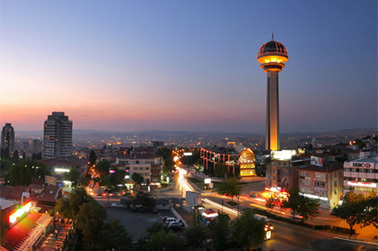 Now Ankara is not only the political center of Turkey, but also the city in which commercial companies are concentrated. A lot of museums and monuments are situated in Ankara. The city is constantly growing and developing, building new areas and improving old ones, but the original and unique style of Ankara is maintained.